"I have been blessed with the opportunity to carry out reform activities, to work with an increasing number of like-minded colleagues, and to publish dozens of scientific articles and more than twenty books for the public and the profession over the course of my professional career. I have been especially fortunate to have my wife, Ginger, working with me for twenty-five years," says Peter R. Breggin, MD, founder of the Empathic Therapy Center. What follows is an outline summary of some of the highlights of Peter Breggin's work as a psychiatrist and reformer. Almost all of these events and issues are described in more detail on Dr. Breggin's professional website and can easily be found by looking over the front page of that website or by using the search tool. For information about various legal work that Dr. Breggin has been involved with, see his webpage here. While the following accomplishments illuminate Dr. Peter Breggin's personal accomplishments we hope that they will inspire members of the Empathic Therapy Center and others to step forward and take responsible reform actions of their own as we work together. As a college student (1954-1958), I co-directed and helped to develop the Harvard-Radcliffe Mental Hospital Volunteer Program, including a case aide program in which individual students worked with their own hospitalized patients, many of whom were released as a result of the volunteer interventions. The program lasted for many years and originated a credit undergraduate seminar at Harvard. Our program was described and strongly supported by the President’s Commission on Mental Health (1962). From the volunteer project, I co-authored my first book, College Students in a Mental Hospital (Umbarger et al., 1962). I then went to medical school with the intention of becoming a psychosocially oriented psychiatrist; but I had no idea how much the profession would turn wholly to the biological model and to drugs, electroshock and even psychosurgery. After completing medical school, internship and three years of psychiatric residency training, I realized that psychiatry had become wholly committed to the biological model and to drugs and electroshock. I spent two years at NIMH working on building and staffing mental health centers and then in mental health and education. Afterward I went into private practice with no plan for becoming an active reformer as I had been in college. Then in the early 1970s, I discovered that lobotomy and newer forms of psychosurgery were being advocated and even promoted throughout the world, including the United States, Canada and Europe. I was outraged and decided to conduct what became an international campaign that stopped the worldwide resurgence of lobotomy and psychosurgery on adults and children. Eventually all but a handful of projects around the world were forced to stop and all psychosurgery came to halt in federal and state institutions in the United Sates. Wrote the federal legislation to ban federal funding of psychosurgery that was introduced by the Black Caucus and others members of the U.S. Congress in the early '70s. The legislation did not pass but it had a chilling effect on any further funding for psychosurgery and eventually all federal funding was stopped. Originated the idea and worked with members of the U.S. Senate to create the federal Psychosurgery Commission that eventually declared the treatment experimental and not suitable for routine clinical application. Helped to bring about and testified at the Kennedy Hearings on psychosurgery. Testified as the primary expert in Kaimowitz v. Department of Mental Health in Michigan, a trial before a three-judge panel. The court’s final opinion was entirely consistent with my testimony about the damaging effects of psychosurgery and effectively stopped all psychosurgery in America’s state mental hospitals. Made innumerable media appearances against psychosurgery, addressed professional conferences (including the American Psychiatric Association, NIH and NIMH) and wrote articles for the public and the profession. More recently, I was the consultant and medical expert in the first successful psychosurgery malpractice case with a $7.5 million verdict against the Cleveland Clinic in June 2002. The Cleveland Clinic stopped performing psychosurgery after this success and only two remaining medical centers in the United States have been identified as continuing to conduct these mutilating procedures. By the time it was over, my campaign had stopped most psychosurgery in the United States, Canada and Europe. I was especially grateful to see an end to the “research” of O. J. Andy at the University of Mississippi in Jackson who had operated on several dozen black children as young as age five, planting multiple electrodes into their brains to stimulate them and then to burn psychosurgical holes in their frontal lobes and limbic system. My efforts also stopped a similar surgery project on adults conducted in Boston by Harvard psychiatrist Frank Ervin and Harvard neurosurgeon Vernon Mark under the sponsorship of another Harvard neurosurgeon William Sweet. At the start of my anti-psychosurgery campaign, in 1972, I founded the Center for the Study of Psychiatry, informally known later as the International Center for the Study of Psychiatry and Psychology with a board of directors including psychiatrists and other mental health professionals, lawyers, consumers and several members of the U.S. Congress. I directed and ran this reform organization from 1972 to 2002--over thirty years. During the time that I was Director of the organization with my wife Ginger as Executive Director, we developed a large, active board of directors and an advisory council of several hundred members, plus a general membership. We developed annual meetings and we founded a scientific, peer-reviewed journal, Ethical Human Psychology and Psychiatry, published by Springer Publishing Company. In 2002, I arranged for an orderly transition to new and younger leaders. In 2010, for a variety of reasons, Ginger and I withdrew all support from the Center for the Study of Psychiatry, informally known as the International Center for the Study of Psychiatry and Psychology. We no longer participate in anyway with this organization and will not be involved in its conferences. At this time we founded the Empathic Therapy Center with its own annual conference held in April of each year in Syracuse, New York. With some of our closest colleagues, as well as some exceptional new professionals, our new reform organization already has an inspiring and exceptionally informative new conference developed. See our conference page here for details. In 1979 I published Electroshock: Its Brain-Disabling Effects. This was the first and remains the only medical book devoted to a critical analysis of this barbaric treatment. It has helped to support the anti-shock movement led largely by former mental patients and former victims of shock treatment. In 2008, Dr. Ursula Springer wrote a history of Springer Publishing Company in which she called the publication of my first medical book one of the highlights of her career. She described frightening encounters with shock doctors when she went as a publisher to medical meetings, including a threat to boycott her firm, which never developed. I continue to provide an isolated voice within psychiatry documenting the dangers of electroconvulsive therapy and calling for it to be abandoned. The most up-to-date information about electroshock treatments and their damaging effects can be found in my medical textbook: Brain-Disabling Treatments in Psychiatry: Drugs, Electroshock, and the Psychopharmaceutical Complex (2008). I was the sole invited scientific presenter on the brain-damaging effects of shock treatment at the NIH Consensus Development Conference on ECT in 1985 and may have helped the panel recognize and report on some of the dangers associated with the treatment. In 2005, I testified as the medical expert in the first trial in history in which a jury returned a malpractice verdict against a shock doctor in favor of the injured patient. It is a source of gratification that I have been the psychiatric expert in the first malpractice suits won against perpetrators of shock treatment and psychosurgery. This was the first and only medical book devoted wholly to the dangers of psychiatric drugs to the brain and mind. Among other things, it alerted the profession to the danger of tardive dyskinesia in children, a subject that was almost entirely unacknowledged. Tardive dyskinesia is a potentially devastating neurological disorder with abnormal movements caused by neuroleptic or antipsychotic drugs. It is discussed on my professional website. The book also alerted the profession to the danger of dementia produced by longer-term exposure to neuroleptic drugs, a subject most psychiatrists still like to avoid. Dan Rather built a TV feature around the book (he saw my book manuscript before it was published and I was a consultant to the show). In part because of the book and the media attention I generated around it, the FDA felt compelled to respond by developing a new class label for TD for all of the antipsychotic drugs. Tardive dyskinesia continues to be a main concern for me. Literally tens of millions of patients are suffering from this persistent, untreatable disorder that can vary from disfiguring to wholly disabling and agonizing. I have testified and consulted in dozens of successful tardive dyskinesia cases in the US and Canada. Among half-a-dozen adult TD cases that have gone trial in the US and Canada, the injured patients have won all but one, and the exception was a hung jury. Many others have been settled, sometimes for millions of dollars. I believe that on the basis of the frequency and potential severity of tardive dyskinesia, the FDA should ban neuroleptic drugs. In addition, these drugs cause many other severe and often life-threatening disorders that further bolster the urgency to withdraw them from the market. Causing the initial cancellation and later restructuring of a potentially racist federally sponsored conference on the genetics of violence, and protecting some of the nation’s most vulnerable children from psychiatric abuse. Working with the U. S. Congressional Black Caucus and other African-American leaders to develop a coalition against the violence initiative. Exposing the channeling of drug company funds to individual researchers at NIH through the intermediary foundation, FAES, leading to cancellation of this program, circa 1994. Causing NIH and NIMH to hold special hearings to re-evaluate their research in order to place more emphasis on psychosocial causes of destructive behaviors. Discouraging a new onslaught of eugenically inspired psychiatry. Before it was written about in the United States, I learned from a World War II soldier about his liberation of a state mental hospital that was being used for the extermination of mental patients even before the Holocaust had begun. The hospital was still actively killing and cremating its patients, even after the war was over in that part of Germany. I was able to research foreign documents and to travel to Germany with my friend Jeffrey Masson to look into archives on the extermination of mental patients. It turned out that biological psychiatry in Germany developed the theory and practice of massive “scientific” murder, including extermination centers, gassing and cremation. Furthermore, the Germans were sustained in their efforts by approval from key figures in British and American medicine and psychiatry. I gave a formal presentation on the subject at the first German conference on the role of medicine in the Third Reich, and wrote both a popular article and a scientific report on how the murder of mental patients was a key step toward the murder of the Jews. When Jeffrey Masson and I physically delivered my paper to the Holocaust Museum, the archives reported that it was the first scientific documentation in their possession about how the “euthanasia” program paved the way for the wider extermination program. (The museum had failed to collect earlier substantial documentation by German authors.) Within a few years, books were published on the subject in the United States, but without daring to make the direct connection between international biological psychiatry and the Holocaust. I became the first psychiatrist to confront the profession and the public about the risks of violence and suicide from the new SSRI antidepressants, starting with Prozac. In the early 1990s, I began documenting many of the findings that the FDA now confirms about suicide and a general worsening of the condition of patients taking these drugs. Providing my research publications to the FDA panel confirming that antidepressants cause suicidal behavior and a continuum of over-stimulation (activation) that includes akathisia, agitation, insomnia, irritability, hostility, aggression, and mania. The panel recommendations for new warnings read very much like sentences taken right out of my publications. Alerting the profession to the danger of down-regulation and dangerous withdrawal reactions from the new SSRI antidepressants, such as Prozac, Zoloft, and Paxil, with an article as early as 1992 and then in Talking Back to Prozac by Peter R. Breggin, MD and Ginger Breggin, (1994). Alerting the profession and the public to the flawed and even consciously deceptive nature of controlled clinical trials in determining efficacy and safety in Talking Back to Prozac and subsequent publications. Now many of these problems are generally recognized. Developing the scientific basis for all of the combined Prozac product liability cases against Eli Lilly and Company. The drug company has quietly settled hundreds of these cases. Only one of my cases has gone to court (Fentress v., in Louisville, Kentucky, the "Wesbecker Case"). I provided much of the background research and testified as a medical expert. The suit was secretly settled during trial without informing the judge. The plaintiffs accepted a huge settlement in return for providing the jury with a weakened presentation of the case against the defendant drug company. The jury found for the defendants by a 9-3 vote. Afterward, the Supreme Court of Kentucky found in regard to Eli Lilly, "In this case, there was a serious lack of candor with the trial court and there may have been deception, bad faith conduct, abuse of the judicial process and perhaps even fraud." The trial judge, John Potter, was empowered to change the jury verdict to "settled with prejudice" against Lilly. Consulting in 2001-2002 as the medical expert in a California suit against GlaxoSmithKline concerning the failure of the Paxil label to describe withdrawal reactions to the antidepressant drug. The "resolution" of the suit coincided with a change in the label so that withdrawal reactions are now listed and described. The label changes were published on the company website in 2002. I was among the first to warn about SSRI withdrawal problems. Releasing previously sealed information on the alleged negligence of GlaxoSmithKline in regard to hiding the risks of suicide and violence associated with Paxil (2006). After a judge made public my product liability report, I put the entire document on my website and wrote several scientific articles about the contents, providing a unique opportunity for any interested person to look through a window into drug company negligence. As my recent blogs, scientific papers and my many books confirm, advocating for children, and protecting children from psychiatric abuse is a major theme of my work. Four of my books are devoted almost wholly to children’s issues but most of the others focus on the issues of children as well, including chapters in my most recent books, Medication Madness (2008) and Brain-Disabling Treatments in Psychiatry (2008). Within my limits, I have tried to monitor and at times stop unethical, hazardous experimental research on children, from the psychosurgery experiments in the 1970s to the widespread use of toxic adult drugs in the current psychiatric treatment of children. Since 1991 in my book, Toxic Psychiatry, I have tried to provide a basis of criticism of the supposed biological basis of ADHD and an analysis of potentially damaging effects of stimulant medication. Following my scientific testimony, many of my views and concerns were partially confirmed by the final report of the NIH Consensus Development Conference on The Diagnosis and Treatment of Attention Deficit Hyperactivity Disorder in November 1998. Our center was among the first to criticize the escalating tendency to give psychiatric drugs to preschoolers. In 1998 we informed the International Narcotics Control Board about the drugging of children as young as two and soon after the World Health Organization agency issued a warning about it. In Talking Back to Ritalin (1998; Revised in 2001) I made one of the most thorough analyses of the dangers of these drugs in young children. In March 2000, in response to public outcry raised partly in response to our national educational efforts, the White House made a public statement showing concern about the medicating of preschoolers. I was a consultant to the attorney who brought the original Ritalin Class Action Suit against the manufacturer, Novartis, as well as against CHADD and the American Psychiatric Association. This first suit became a model for several others, although I did not participate any further in any of the class action suits. Unfortunately, the courts have rejected the class actions, but that does not rule out individual product liability suits. I helped to motivate and inform state legislation, including Connecticut, limiting the power of teachers and school officials to discuss the use of medication and psychiatric diagnoses with the parents of children in their care. Beginning with Toxic Psychiatry in 1991, I coined the term “the psychopharmaceutical complex.” Since then I have spent considerable time and effort to demonstrate how the pharmaceutical industry dominates all psychiatric research, the American Psychiatric Association, the Food and Drug Administration, NIMH, medical education, insurance providers and basically the whole system of psychiatry and psychiatric drugs. I was among the earliest (but by no means the only professional) to point out the conflicts of interest between the drug companies and so-called experts in psychiatry and psychopharmacology. My most recent books continue to elaborate on the stranglehold that the drug companies and biological psychiatry have over mental health and psychological services. Since my earliest books I have continued to develop the brain-disabling principle of psychiatric treatment. It states that all physical treatments in psychiatry—drugs, electroshock and psychosurgery—disable the brain and that none improve brain function. In the past year, I have added the theory of medication spellbinding (technically, intoxication anosognosia) which helps to explain why so many people take so many different kinds of psychoactive drugs despite the fact that they cause more harm than good. Physical interventions that disrupt brain function, including all psychiatric drugs, tend to hide their damaging mental and emotional effects from the injured individual, making the medicated person unable to detect the adverse effects or to properly identify them as caused by the drug. Some people end up believing that they are doing better than ever when they are doing worse, and a number end up committing acts of suicide, violence or criminality that would ordinarily have appalled them if the had been drug-free. In the last two years I have become increasingly interested in the widespread prescription of psychiatric drugs to military personnel and veterans with the increased risk of drug induced violence and suicide along with other life threatening adverse drug effects. In 2009 and 2010 I addressed the Annual International Military & Civilian Combat Stress Conference in Los Angeles, the oldest military stress conference in the world. My address focused upon military stress and discussed better psychosocial and educational alternative to psychiatric drugs. In 2010 I was invited to be the primary scientific expert at hearings before the United States House of Representatives Committee on Veterans Affairs on the subject of psychiatric drug adverse effects on our soldiers. The Chair, Bob Filner (D-SD), explained that my book, Medication Madness had inspired the hearings. From Controversy to Confirmation Over the Decades! Psychosurgery is no longer widely practiced and not at all carried out in state or federal institutions and not at all on children in the United States. The role of German psychiatry in the murder of mental patients and, to a lesser extent, the role of psychiatry in general in enabling the Holocaust, have now been confirmed by many studies and books. The first ECT malpractice case has been won and recent ECT research has confirmed that the “treatment” causes long-term brain dysfunction and widespread mental deficits. The multi-agency federal violence initiative aimed at screening and treating inner-city children for supposed genetic and biochemical causes of violence was disbanded. The head of NIMH, a powerful psychiatrist who sponsored the program, was forced to resign from the government. The conference on the genetics of violence was delayed and then vastly modified, and eugenically-oriented psychiatry was driven back underground. All experts now recognize the dangers of tardive dyskinesia in children. Many researchers, and nearly all published articles, have confirmed that the neuroleptic drugs produce permanent widespread cognitive deficits or dementia. Many physicians and laypersons now realize that drug companies distort their research to their own advantage and that the controlled clinical trials used to obtain FDA-approval for a drug are deeply flawed and often rigged. Experienced doctors and the FDA now recognize the potential for dangerous withdrawal effects from the SSRIs. The FDA acknowledges that the newer antidepressants can cause suicide in children and young adults, that the drugs can cause a general worsening of the patient’s condition and that they do not work at all in children—conclusions I was documenting as early as 1992-1994. The controversy surrounding ADHD and stimulant medication has been growing, while my warnings about the ineffectiveness and toxicity of the drugs, and the lack of scientific foundation for the ADHD diagnosis, have been confirmed by a growing body of research. Nowadays the news is filled with disclosures about how doctors take money from drug companies in exchange for promoting their products, and how pharmaceutical company interests corrupt research and practice. A growing body of research supports the brain-disabling principle of psychiatric treatment. In 2010 my wife Ginger and I decided to separate from the organization that I formed in 1972 (see above). We have now created the Empathic Therapy Center which carries on our reform work, including our critique of the psychopharnaceutical complex, and with increasing emphasis on encouraging and promoting more caring, responsible, and effective psychosocial and educational approaches to human emotional suffering and conflict. We are holding conferences every year beginning April 2011 in Syracuse, New York. Membership in the organization is open. Join us today! 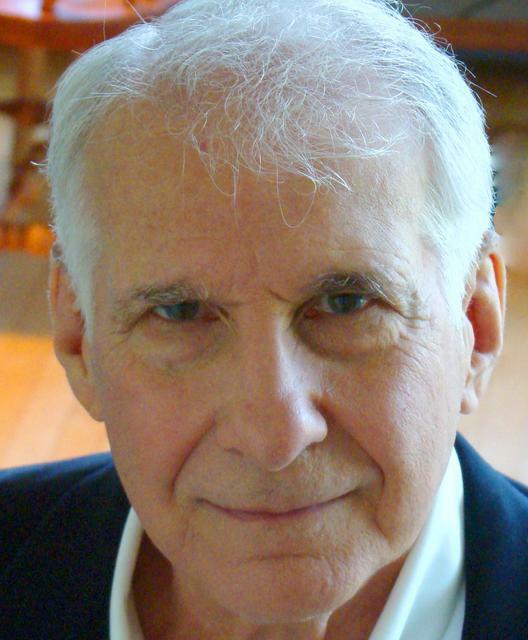 Peter R. Breggin, MD has no affiliation with ISEPP, which is the new name for the organization which he founded and led from 1972-2002, originally named Center for the Study of Psychiatry or ICSPP. Dr. Breggin does not support or take part in ISEPP activities or conferences.